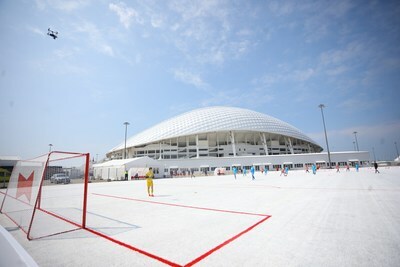 A unique football pitch created from its recycled plastic cups. 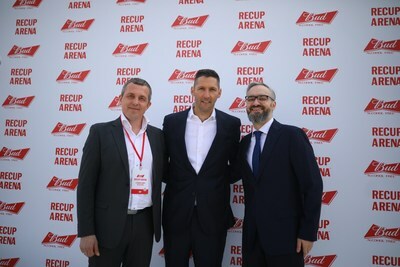 The opening of the Budweiser ReCup Arena in Sochi, Russia, was attended by official guests including Marco Materazzi, FIFA Legend, Andrei Markov, Minister of sports of Krasnodar region and Konstantin Tamirov, Marketing Director of AB InBev Efes. 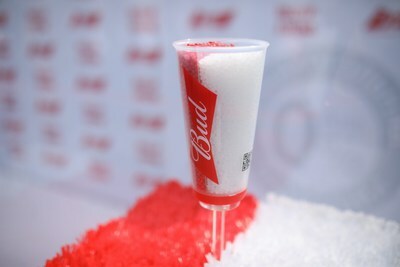 Budweiser collected and recycled the Red Light Cups that were disposed and used 50,000 of these cups to create an innovative, wear-resistant coloured coating for a new pitch measuring 65 x 42 metres that is sure to play host to many tense penalty shootouts in the future.